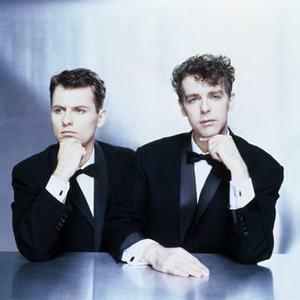 Pet Shop Boys are a British synthpop/dance music duo, consisting of Neil Tennant and Chris Lowe. They formed in London, UK in 1982. Pet Shop Boys are one of the most commercially and critically acclaimed British music artists ever. They have achieved eight platinum, two gold and four silver albums in the UK alone. Their career has spanned 25 years and is now in its fourth decade. They have sold 50 million records worldwide and are listed as the most successful duo in UK music history by The Guinness Book of Records. Pet Shop Boys are one of the most commercially and critically acclaimed British music artists ever. They have achieved eight platinum, two gold and four silver albums in the UK alone. Their career has spanned 25 years and is now in its fourth decade. They have sold 50 million records worldwide and are listed as the most successful duo in UK music history by The Guinness Book of Records. Three-time Brit Award winners and six-time Grammy nominees, since 1986 they have achieved 42 Top 30 singles and 22 Top 10 hits in the UK Singles Chart, including four number ones: "West End Girls", "It's A Sin", "Always On My Mind" and "Heart". At the 2009 BRIT Awards, Pet Shop Boys received an award for Outstanding Contribution to Music. The band's eleventh studio album, titled Elysium (continuing their tradition of single word titles), was released in September 2012.